Adolph Gottlieb. Edge, 1972. Oil on canvas. University of Iowa Museum of Art. 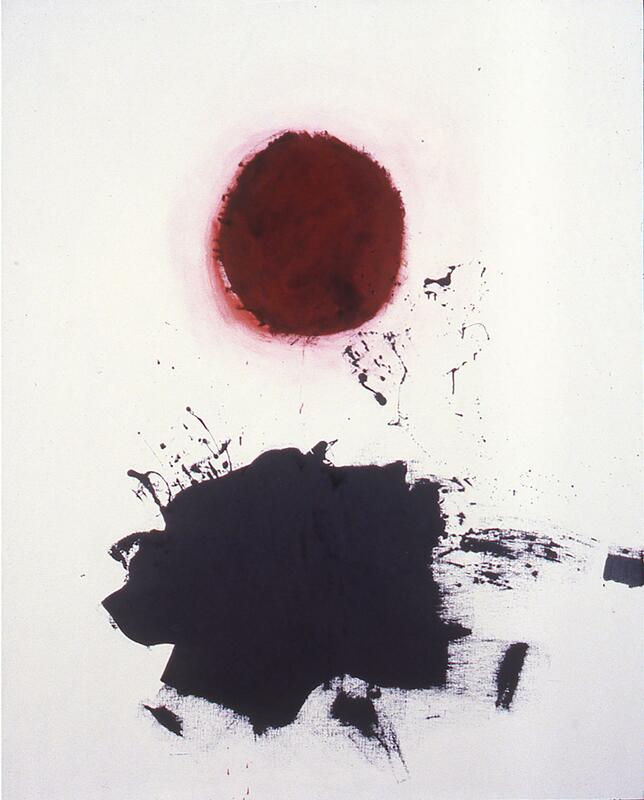 Gift of Mrs. Adolph Gottlieb, 1974.183. Art © Adolph and Esther Gottlieb Foundation/Licensed by VAGA, New York, NY. Reproduced with permission from The University of Iowa. Abstract Expressionism: Looking East from the Far West. continues at the Honolulu Museum of Art through January 21, 2018. Satoru Abe. The Idol, 1958. Welded copper and bronze. 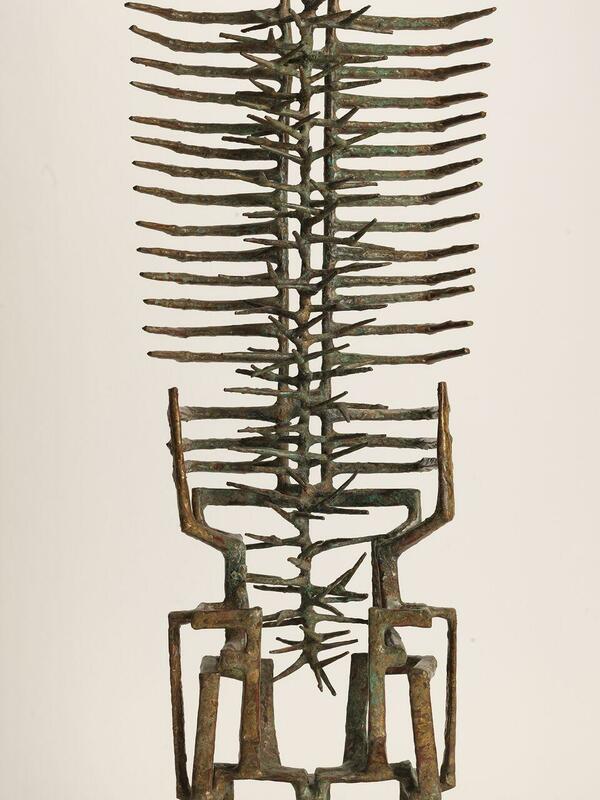 Honolulu Museum of Art, Gift of the Hawaii Community Foundation, Keiji Kawakami Art Foundation Fund, 1992 (6902.1). © 2017 Satoru Abe. Abstract Expressionism: Looking East from the Far West continues at the Honolulu Museum of Art through January 21st, 2018. A conversation with Theresa Papanikolas, curator of "Abstract Expressionism: Looking East from the Far West." Abstract Expressionism was the first truly American modern art movement, and it was a huge psychological leap away from anything before it. To imagine the impact of Abstract Expressionism, you have to remember in Western art, representational painting, that is, realistic looking paintings, hit a highpoint, when photography entered the scene. Then cubism and impressionism started breaking up the picture plane. These painters, even the Fauves (Wild Beasts) were still standing back, painting with their wrists, however, when the Americans swaggered in. Theresa Papanikolas, curated the exhibit, Abstract Expressionism: Looking East from the Far West. Papanikolas: You’re looking at artists like Jackson Pollock, Mark Rothko, artists who paint from their souls, from their emotions, from their intellect, their intuition, using gesture and color. Large paintings, paintings that don’t necessarily tell a story or attach themselves to any sort of message but instead are purely the product of the individual ego. Why do people like these paintings? Papanikolas: Because they’re fantastic, they’re just incredibly arresting. They’re beautiful, just seeing it is a highly meaningful experience. It’s extremely moving. Just wait until you go into the gallery it’s simply amazing. Saburo Hasegawa (Japanese, 1906‒1957). Abstract Calligraphy, c. 1955–7. Ink on paper. 51 ¼ x 22 ¾ inches. San Francisco Museum of Modern Art, Gift of Joseph Brotherton. © Estate of Saburo Hasegawa. Photograph: Don Ross. Papanikolas: You think you’re going to go and you’ll be plunged into Mad Men or you’ll be plunged into the 1950’s but in fact, these images are so timeless, and so all enveloping and all encompassing, you stand in front of them and you achieve a sense of place, and well-being and being in the moment, and in the present. The fact is, there were a lot of artists of East Asian descent who were active in this movement who have been overlooked in the common received history of Abstract Expressionism and so one of the things this exhibition does is expand the conversations and discourse around Abstract Expressionism to include these artists. And once you do, you begin to draws connections between New York School Abstract Expressionist spontaneity and the being in the moment of Zen Buddhism, or at least the Western understanding of it. Abstract Expressionists on the continent were influenced by Zen Buddhism, its immediacy spoke to them. 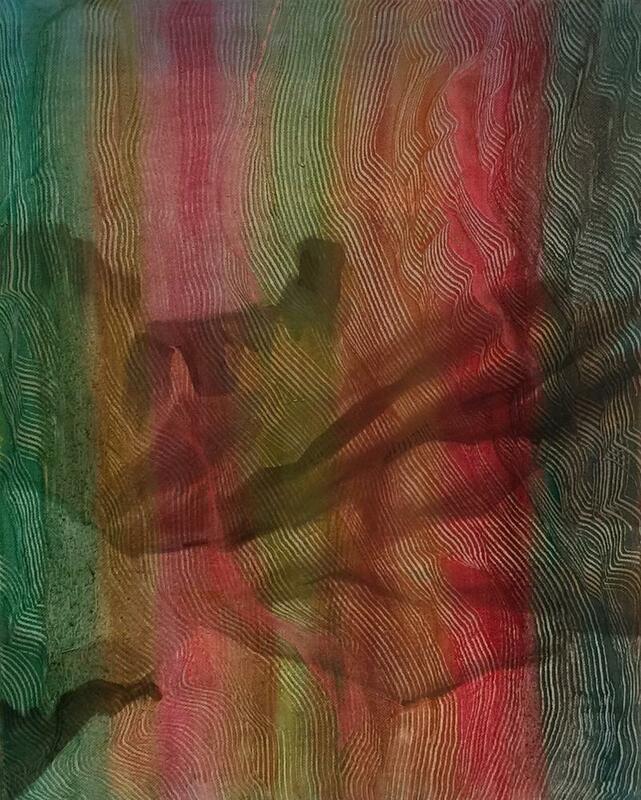 In Hawai‘i, artists were exposed to different aspects of Asian culture and brought that to a different type of Abstract Expressionism, wouldn’t you say? And keeping your head down, and not standing out, and not being a wild Abstract Expressionist. Toshiko Takaezu (American, 1922‒2011). Moon, c. 1980s. Glazed stoneware. 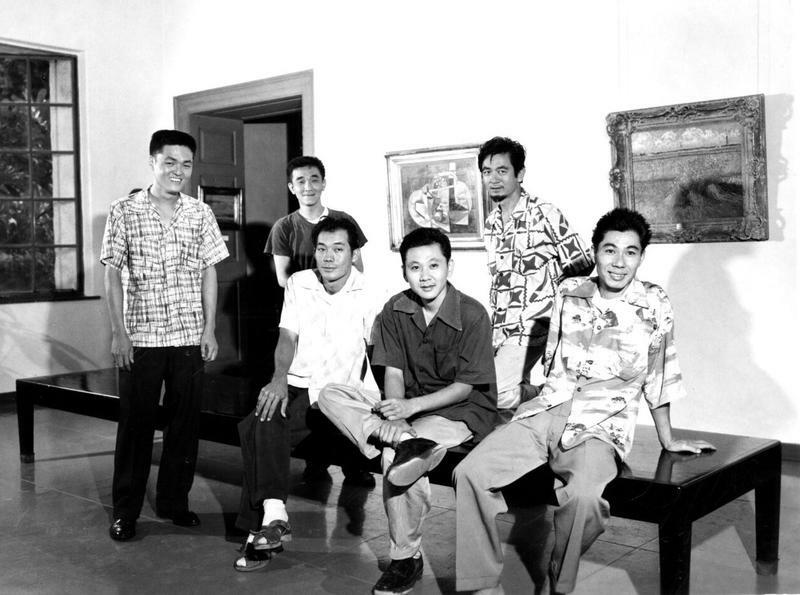 Honolulu Museum of Art, Gift of The Contemporary Museum, Honolulu, 2011 and gift of the artist (TCM.2007.5.23). 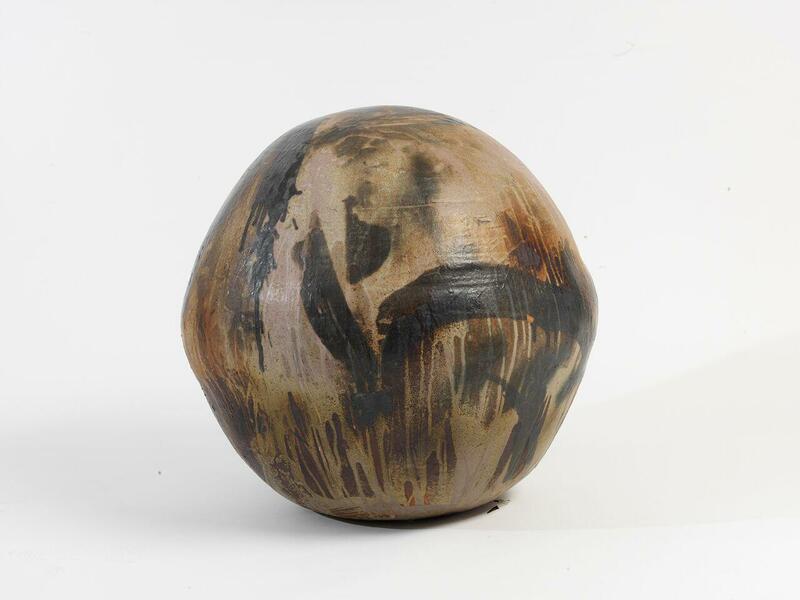 ©Toshiko Takaezu Trust. Papanikolas: Absolutely, and that comes through in their work, it’s much quieter, it’s less in your face. 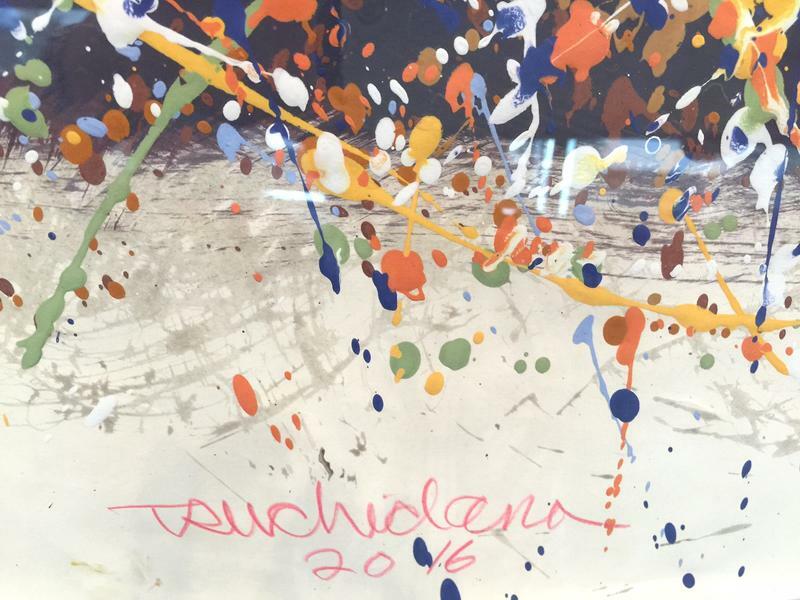 You see the hand of the artist in the work, but not in the same way as a Jackson Pollock. They’re very, very ego-less, I would say. Think of Hawai‘i in the 1950’s, does it seem a bit extraordinary that kids barely off the plantation aspired to be fine artists? Satoru Abe: That’s the beauty. The beauty is to be young, naïve and to have a dream. That’s all. That’s all you need. Sculptor, painter Satoru Abe was part of that first wave of Hawai‘i’s contemporary artists. More of their story in our next installment. Speaking of local connections, on a return visit to the Abstract Expressionist show, I was struck by the series of prints by Ad Reinhardt. The subtle modulations of rich color remind me of palm trees silhouetted against the evening sky, becoming barely discernible as night falls.